ITS tournaments have been running continuously since 2010. There have been various improvements over the years including new formats, mission updates and prize support. 2013 is the first year where a limited edition model replaced the trophies previously used. 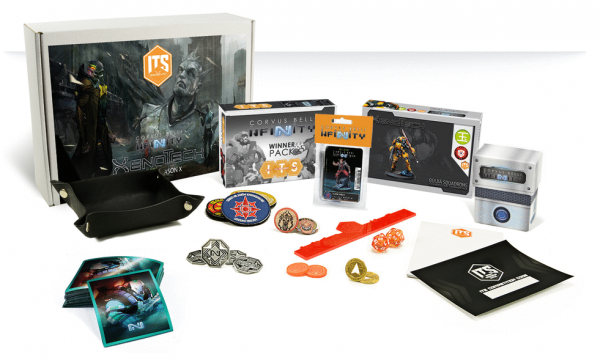 The updated tournament pack was introduced in order to manage rising costs, especially as the trophies were heavy and expensive to ship. Lieutenants are no longer specialists. Whilst the possibility for campaign and Spec Ops tournaments remains, the option to play 2v2 tournaments has been removed. The 2016 season was shorter than normal due to future seasons starting immediately after the Interplanetary rather than based on calendar years. As such, it only ran from January to the end of August. It was the first season to use an approximation of an Elo ranking. This season was also the first to use the new tournament scoring system where players primarily competed to earn Tournament Points rather than just Objective Points. Season 8 is the first season to run from one Interplanetary to the next. It was also permitted the use of the ALIVE Group and Scarface & Cordelia in most human armies. Season 9 introduced several optional extras in addition to the Spec Ops and Limited Insertion formats remaining. Campaign - A 7xp Spec Ops and 7xp of Military specialities. Soldiers of Fortune - 75pts of Mercs. Escalation - Three rounds, one each at low, mid and top tiers. It also introduced the idea of datatrackers, attackable HVTs, HVT: Kidnapping classified objectives, closed battle lists, reduced combat groups and a special printed book of background and missions. Season 10 introduced new Classified Objective decks with two modes of difficulty. It also introduced the idea of Xenotechs and of a number of new missions including reintroducing some based around an objective room. Postcard of the stay of Toni Macayana at Paradiso. 2 "Toni is dead" badges. 3 Patches (including 2 Toni Macayana patches) replacing those from the Season 8 pack. TAGLINE is a narrative event where every player in a tournament can immerse themselves and participate in part of the Infinity background. In TAGLINE the players are the main cast of an important episode of Paradiso’s military campaign, the combat action designated “Operation: The Grid”, which includes the death of Toni Macayana and the thirty days following this operation. Take your Combi Rifle and take control of the story! The narrative event TAGLINE is divided into five chapters, each corresponding to a Tournament Round. Three of these chapters are mandatory (Chapters one, two, and five) while the other two (Chapters three and four) are optional. Mandatory chapters must always be played. If you want to organize a four round tournament, the Organizer must choose one extra chapter, be it the third or the fourth. In the case of a five round tournament, the Organizer must include all of the chapters. The maximum number of rounds allowed for this type of tournament is five. Each chapter includes a small piece of narrative background, as well as specifics on how the mission must be played and the extras that can be applied to each mission and tournament round. The narrative event TAGLINE is not compatible with tournament extras from the ITS Rules unless otherwise specified by a chapter’s rules. Likewise, the basic rules of an ITS Tournament must be followed, with the exception of the preselected scenarios. 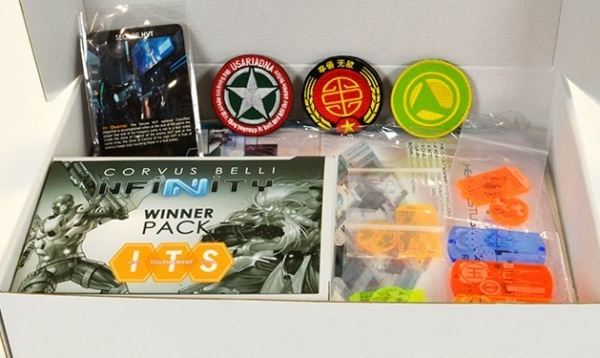 Exclusive Guijia Squadron TAG miniature. 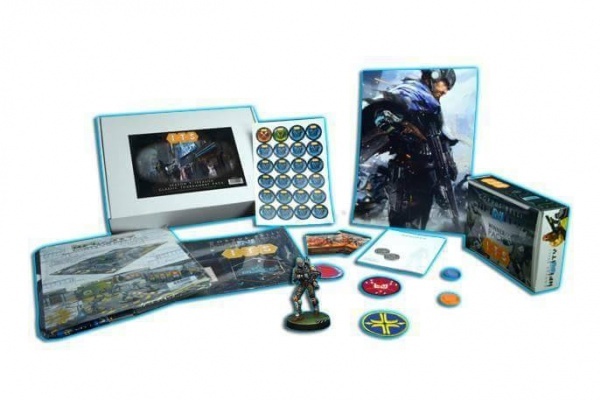 Box for Classified Objective Deck. 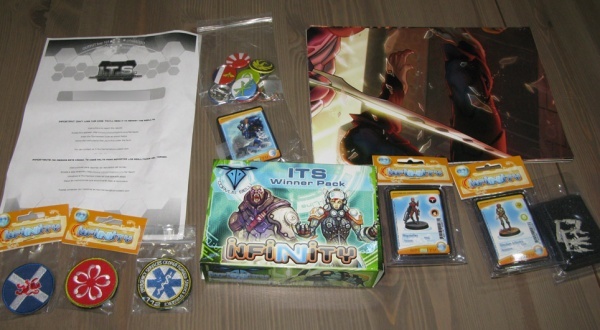 The Event Pack: XENOTECH allows you to organize a tournament set in a specific chapter of the universe of Infinity, focused on the search for a lost fragment of the relic guarded by the Teutonic Order. A race against the clock in the dangerous jungles of Paradiso. 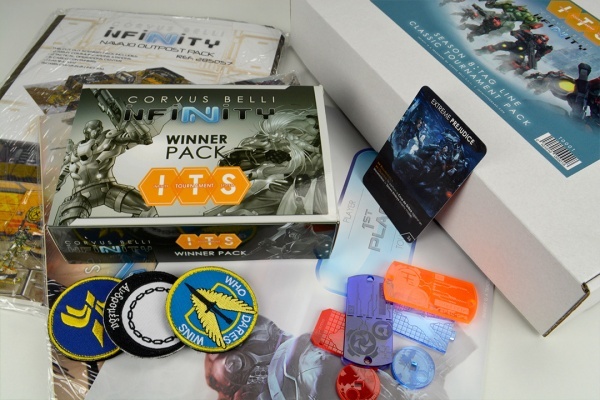 The Event Pack is designed to work all by itself. 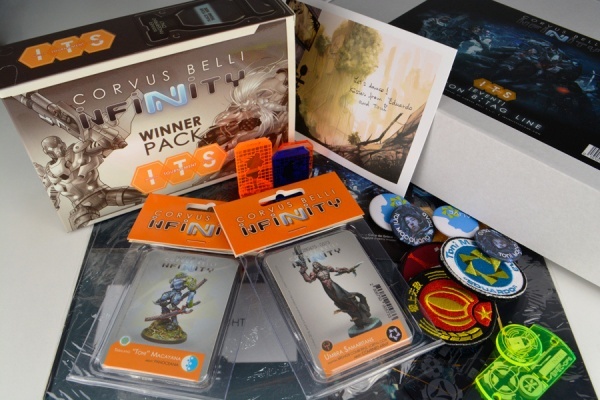 You will find all the prizes necessary for your tournament, as well as including the entire contents of a Competition Pack, and if this isn’t that enough, it includes an incredible exclusive Guijia Squadron miniature, ideal for the winner’s tournament prize, the great new release of the Victor Messer miniature, a second great prize, and even more stuff. 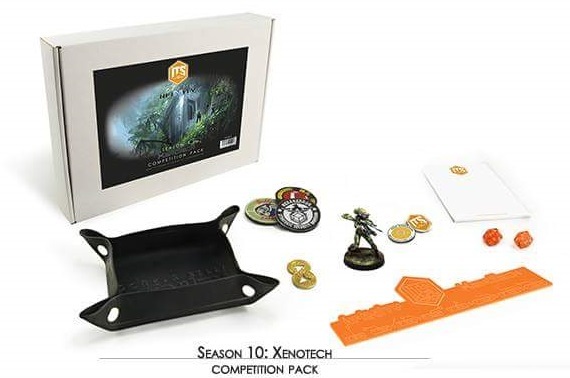 The Event Pack: XENOTECH is a limited exclusive pack, available while supplies last, so do not miss the opportunity to live this adventure! This page was last modified on 16 April 2019, at 02:14.